Cuisine: Thai This filter is no longer available. Acetylated starches E1420 (also known as starch acetate) are modified starches. 3) On time delivery Please feel free to ask for any other information. We are a supplier of starch for ice cream. - It is mainly used processing industries. - Obtained from the endosperm of the kernel. - Modified Starch provides an homogeneous solution and very good dispersion effect & no sedimentation even after prolonged time of storage. - Modified Starch has better adhesion effect and quick drying characteristics. Offer by us Food Grade Starch is nutritious carbohydrates derived from corn, tapioca and potato, and used in a huge range of food products. Further, the offer Food Grade Starch is provided in various quantity to customers and they can buy as per their requirements. We are a reputed name in the industry, devoted towards offering the best quality Speciality Starch for Ice-Cream. 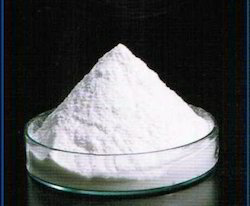 We have marked a distinct position in the market by providing a high quality range of Starch Powder. We supply Starch Powder that is broadly utilized in sugar and other foodstuff processing industry. 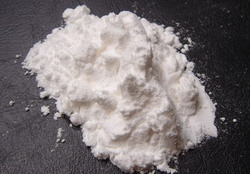 This powder is of white color, which easily gets soluble in cold water or alcohol. We are amid one of the principal providers of first-class quality Starch Powder to our valuable patrons.